Not only telescopes, but also the human eye itself is an observing instrument. 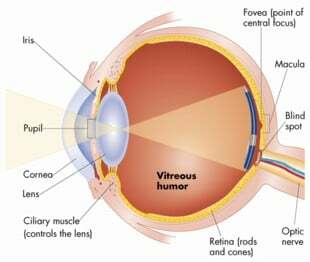 Granted the eye is the smallest telescope that there is, but there is no better or more perfect telescope than the human eye (although even the eye does have some aberrations). Our eyes are always available of course and we can look exactly where we want. With telescopes, the larger the aperture is the more light it gathers. Our eye has an aperture in exactly the same way as a telescope - namely the eye’s pupil. The eye’s pupil is an ingenious device. It is controlled by the iris and varies from a diameter of about 1mm to about 8mm. The maximum opening of the pupil is also dependent on the age of the person concerned. A typical 20 year old can manage a maximum pupil aperture of about 8mm, a 60 year old can only manage about 4mm. Thus, the eye of a 20 year old is much more sensitive to light than the eye of a 60 year old. This fact is important for the observation of the night sky. A 20 year old will hence be able to detect fainter stars than older observers. When the eye’s pupil is wide open, a lot of light can enter the eye – as already mentioned. However, with increasing aperture of the eye the visual acuity is reduced, but this is not important at night as then mainly the rods in the eye are sensitive enough to function. The rods have a poorer resolution than the cones, which are intended for daytime use. The eye has the ability to separate two closely related points from a certain distance away. These points subtend a small angle in relation to the eye, and one can speak of the eye’s resolution. Normally, the eye has a resolution of 1 arc minute (which corresponds to an optical acuity for the eye of V=1). At night it this is reduced to about 2 minutes of arc. If we now consider being able to separate the individual components in a binary star system using the naked eye, then systems with stars of a few arc minutes separation or a little more can typically be resolved. A good test for the naked eye is the beautiful binary star system Alcor and Mizar (in the middle of the ‘handle’) in the Big Dipper. The rod cells in the eye’s retina come into use at night. These rods can only distinguish between shades of grey and are only suitable for vision in very low light conditions. As that is the case at night, we can hence only make out differences in light /dark or white/black at night. Resolution in comparison to daytime is also reduced. The part of the eye’s retina that sees the sharpest is called the fovea (fovea centralis), and contains only cones for daylight vision. A huge number of cones - 130,000 - jostle for place in the fovea. That is as many cones as there are people living in Ingolstadt, the fifth largest city in Bavaria. The fovea has no rods, meaning it does not come into use at night and of course is not used at all for astronomical observing. Outside the fovea, the number of rods gradually increases, but they are spaced somewhat further apart than the cones. The number and density of rods is greatest about 20° away from the fovea. That is hence also the part of our eye that we should use (at least for fainter objects) for our astronomical and telescopic observing. Before starting thinking about buying a telescope, you should know that it is also possible and fun to observe the night sky with just your eyes. There is the whole starry sky out there to see. If you get yourself a rotatable star map (planisphere), you can use this to easily identify all the individual constellations currently visible. Getting to know the constellations in the night sky is a prerequisite for subsequently being able to find the other astronomical objects that you want to observe using a telescope. 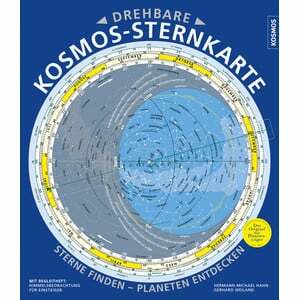 There are a number of different planispheres available. This is the very first thing you should buy. It will remain useful long after you have become familiar with the night sky: it not only shows you the night sky at any time, day or night all year round, but also shows you the position of the sun, the ecliptic (for planetary positions), sunrise and sunset times and much more. 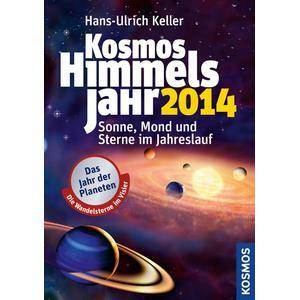 The second important item to be recommended is an astronomical year book, such as Patrick Moore’s Yearbook of Astronomy. This is a very popular astronomical yearbook which contains information about the planets, stars, meteors and objects to observe each month. In addition to star maps and yearbooks, software (such as planetarium programs) is an ever greater part of astronomical publishing. Multimedia planetarium programs provide the observer with a complete overview of the night sky. Some programs have a whole raft of features which can show current or future astronomical events, allow you to ‘fly’ through the Solar System, or even contain a complete astronomy encyclopedia. Some programs even allow you to control your GoTo telescope using your PC / laptop / tablet and slew the telescope automatically to designated astronomical objects. But for anyone who just wants to print out detailed finder charts so they can manually search for astronomical objects will also find this possible here. 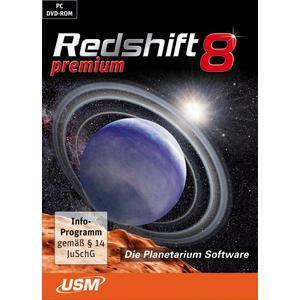 One example of an excellent and comprehensive planetarium program is the famous ‘Red Shift’ software, which is now already available in its eighth version. 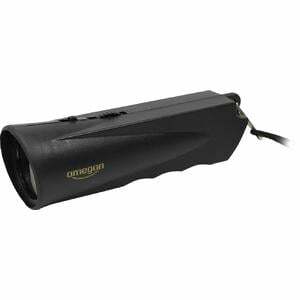 Make sure that you cannot be blinded by nearby street lights, house lights or bright torches. If that happens too often, you can lose your eyes’ dark adaptation. That is why astronomers do not use any white lights during their observing, but use a red light instead - often a dimmable red LED torch. Once your eyes have adjusted to the darkness of a dark night sky, you will be able to see stars right down to the 6th magnitude. These are quite dim stars - about 100 times fainter than stars of magnitude 1. Magnitude 1 stars are among the brightest stars in the sky. Stars that are even brighter than these will have magnitudes of 0 or -1 for example. This system means stars become brighter with the decreasing number of the magnitude. The magnitudes of stars are generally referees to as ‘mag’. Using only your unaided eyes, you will already be able to observe several ‘open clusters’. The Pleiades in the constellation Taurus are an example of this type of star cluster. You can even make out our nearest neighbour spiral galaxy as a small patch of blurry light: the Andromeda Galaxy. This fleck of light is more than 2.5 million light years away from us! But what happens when you are no longer satisfied with observing only with your eyes? Then you will probably want to get yourself a telescope.